I have not been at my computer much the last few months, but out on the town in Vancouver a whole lot, tweeting from my phone now and then, but mostly being face-to-face speaking with people about this issue. I speak with people from every walk of life and every nationality from around the world, in every culture. I can tell you right now that I have yet to experience even one bit of negative feedback. It’s been 100% agreement that things have gone too far, they need to be pulled back, and we all need to start talking about unity. 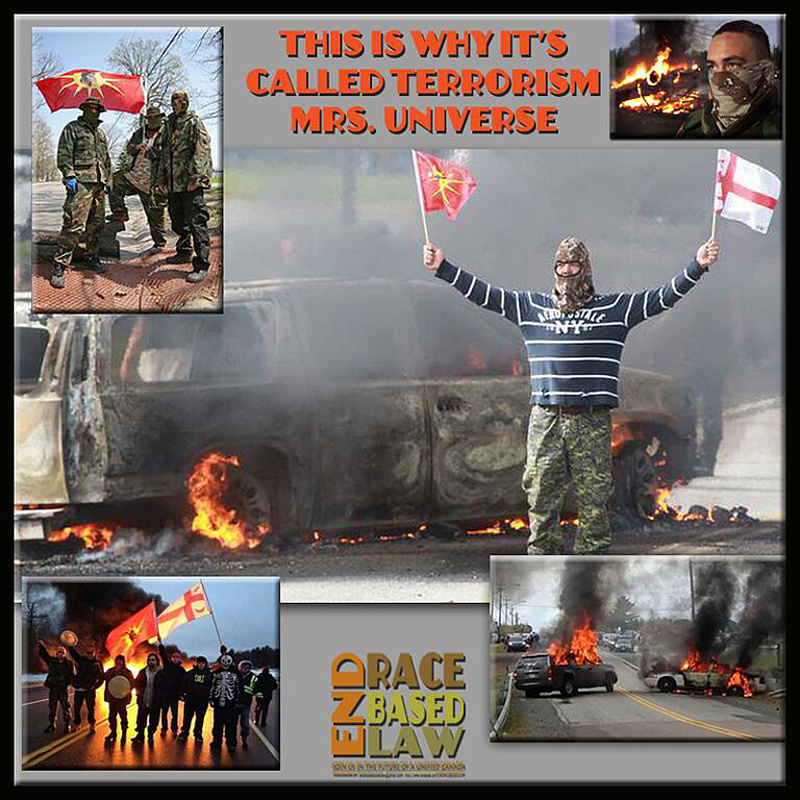 Mrs. Universe should apologize to Canada for saying words that she clearly was coerced to say by her race blame agendist contemporaries. And look how the CBC shamelessly exploits her election, and allows her to actually lie without so much as a challenge, or one ounce of accountability. What else is new? 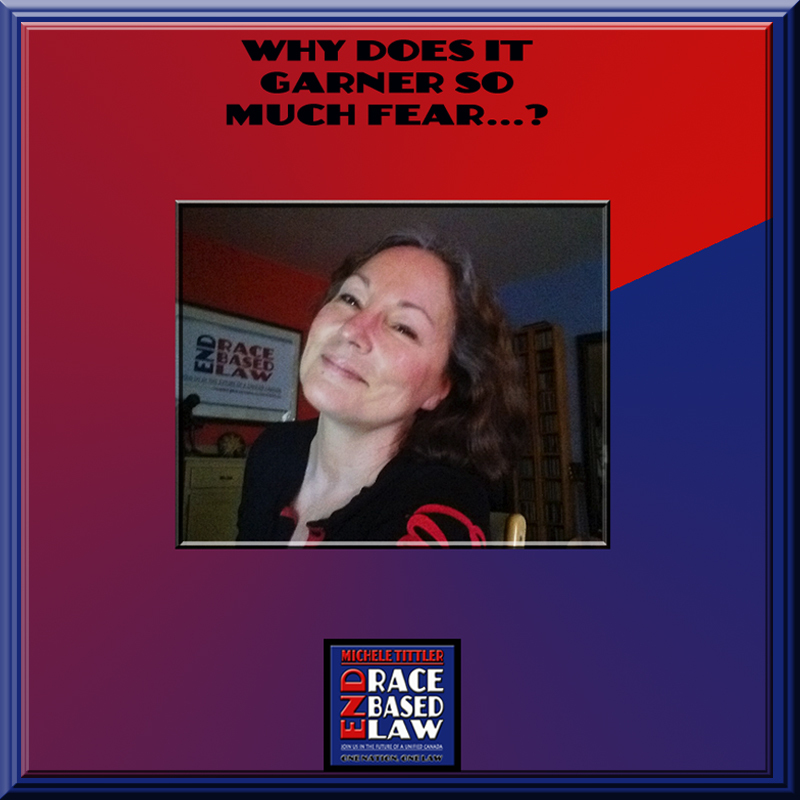 WHY DOES IT GARNER SO MUCH FEAR….? Why does it garner so much fear, just the mere mention to END RACE BASED LAW? Aside from race laws in our constitution, the Indian Act needs to be abolished, and so many of the aboriginals feel the same way about it, so why are we not all doing this together? Them included. Why can’t we END RACE BASED LAW, abolish the Indian Act, and stop feeding the Indian Industry? It’s section 35 in our constitution that’s allowed court cases to carry on all across this country, at taxpayer’s expense, and all it’s done is continue to enable the blame game, keeping us all stuck in that dialogue, which is the backbone to the Indian Industry. None of these laws really serve anyone, except the lawyers and lobbyists, and those who are out to use them for their own personal benefit, at the expense of others, including the aboriginals. ALL politicians must be held accountable to the taxpayer, this is not some new concept, it’s OUR money and we have a say in how it’s spent. And so do the aboriginals who are not in charge of that money, but whose leaders get it on their behalf. Surely if we are able to help people, we can help the individual person without having to feed an ever-growing, ever more costly Indian Industry. Canada can offer up the programs they need, help with job training, education, and health, but since most of the money is going to lawyers and lobbyists, why are we doing it? Why are the aboriginals not on board with us? My goal is to open up the conversation to challenge everyone to rethink these laws, and to remove them from our constitution, and get on with the reality of us ALL being in this together. 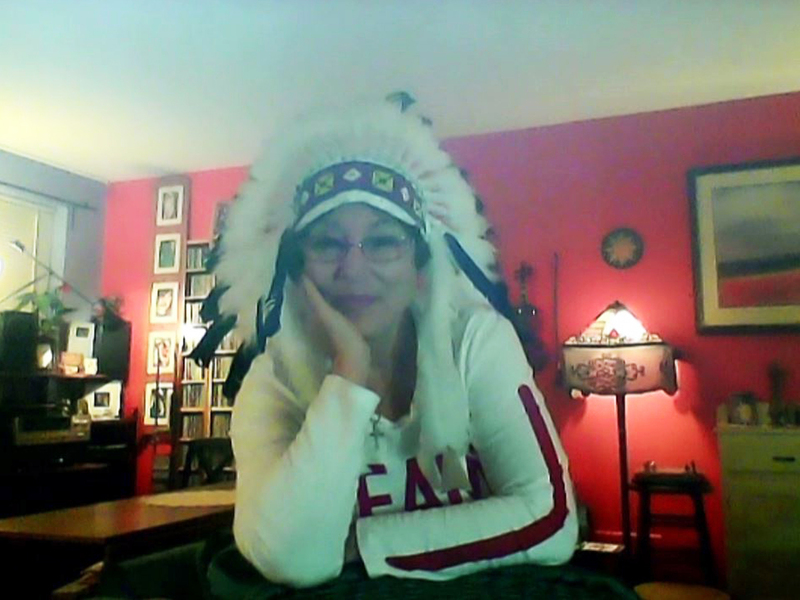 The personal attacks that came from the cyber gang of “Idle No More” created such an unfortunate image for themselves, it made it nearly impossible for us to concentrate on much else. HOWEVER, there are many more great people out there in the aboriginal communities who are working hard to contribute positive change, and they’re the people who will make a difference. The haters will only cost everyone. I just think it’s time for all Canadians, the aboriginals included, to stop acquiescing to the blame game Indian Industry, and to start figuring out how we all move into the future together, because it’s not going to get better the way it’s going. It’s only gotten worse. This is not an initiative to bash the native culture, to incite hate towards them, or to see them falter. This is a conversation to talk about how to help fix and change what’s broken, so things get better. As hard as this conversation is for everyone, we have to have it because things have to change. We can do better, and we have to ask the aboriginals to come with us, and to help nurture a healthier relationship with everyone. The focus needs to shift towards unity and common goals, not on blame, hate, racism and extortion. The Indian Industry is NOT the average man/woman/child who needs help…it’s non-native and native lawyers, lobbyists and activists who have a vested interest in keeping the blame game alive. It is so detrimental to everyone. It’s created Apartheid, segregation and divisiveness. Like I say….we can do better.